The Chan Zuckerberg Initiative (CZI) has announced funding for three new projects at the UC Santa Cruz Genomics Institute to support the Human Cell Atlas, a global effort to map every type of cell in the healthy human body as a resource for studies of health and disease. The UCSC projects are among 85 to receive new grants from CZI totaling $15 million over one year. In addition to the three new projects, researchers at the Genomics Institute have been collaborating with partners in the United States and Europe to build the Data Coordination Platform for the Human Cell Atlas. The new projects are focused on developing open computational tools, algorithms, visualizations, and benchmark datasets to enable researchers around the globe to work with the large variety of molecular and imaging data being generated by the effort. Two of the projects, led by research scientists Jingchun Zhu and Maximilian Haeussler, build on UC Santa Cruz’s legacy of creating web-based browsers for the biological and medical research communities. Zhu, for example, leads a project to develop a single-cell browser for the visualization and exploration of Human Cell Atlas data. The Human Cell Atlas project aims to create a comprehensive reference map of all human cells through the collection and dissemination of diverse datasets obtained with state-of-the-art technologies for imaging and molecular analysis. Researchers will use the data to thoroughly characterize each cell type. 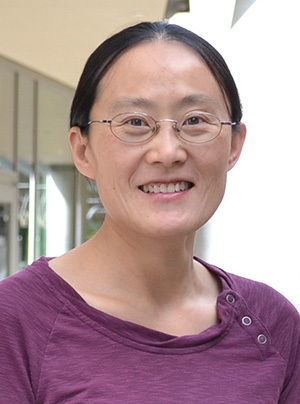 Zhu's team plans to showcase this powerful dataset through UCSC Xena, a web-based tool for visualization, integration, and exploration of diverse genomics datasets and their associated metadata. Xena has an international user base and is a proven resource for showcasing important datasets for the larger scientific community. "Our work will enable the exploration of the HCA datasets by the wider scientific community," Zhu said. "We look forward to working with CZI scientists, the Data Coordination Platform, and other awardees to display their results and data." 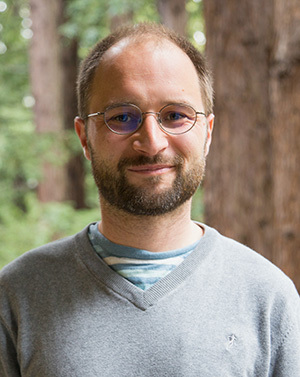 A related project led by Haeussler will build a web-based viewer for visualizing single-cell gene expression data and integrate it with the UCSC Genome Browser and the Xena Browser. "There is no good web-based viewer available yet for single-cell expression data," Haeussler said. The viewer will allow a visual comparison of large single-cell datasets in two dimensions, overlaying metadata, marker gene levels, and cell clustering information. These tools will be integrated into the popular UCSC Genome Browser to display Human Cell Atlas data linked from the gene and chromosome level. The researchers will build the software as a standalone component that is easy to integrate into other websites. Zhu's group plans to integrate it into the UCSC Xena Browser. In the third project, Joshua Stuart, Baskin Professor of Biomolecular Engineering, will use CZI funding to develop a unified classification of cellular processes. His team will develop standards for describing "cell trajectories" found in single-cell RNA sequencing datasets. RNA sequencing (RNA-Seq) is used to study changes in gene expression over time by analyzing the RNA transcripts copied from active genes. Studying RNA-Seq data at the single-cell level promises new insights into cellular processes. 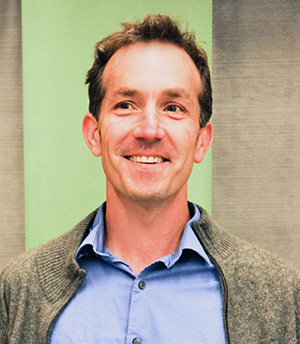 Stuart's project includes developing methods to align cell trajectories, and tools to search known and novel cell differentiation transitions. Using these tools with Human Cell Atlas data will enable detailed comparisons of intermediate cell states within and across a variety of cellular processes. Over the course of the next year, the grantees will work together and share progress to coordinate efforts and maximize the usability of these tools. Working with CZI's science and software engineering teams, they will work to bring these tools to the broader scientific community and, where appropriate, link them to the Human Cell Atlas Data Coordination Platform. The Human Cell Atlas is an international effort to create a shared, open reference atlas of all cells in the healthy human body as a resource for studies of both health and disease. The effort has been spearheaded by Aviv Regev at the Broad Institute of MIT and Harvard and Sarah Teichmann at the Wellcome Trust Sanger Institute, co-chairs of the HCA Organizing Committee. CZI is supporting the project in several ways—through funding to develop the Data Coordination Platform to facilitate open sharing of data produced for the HCA efforts, and through funding for 38 pilot projects to build new technologies, best practices, and data analysis techniques for the Human Cell Atlas. Recommended funding for the 85 new projects is the latest support CZI is providing toward this effort.